An Earthquake, a Baptism, and an Engagement! Thank you for your notes of encouragement, prayers and gifts of support! In case you didn’t hear, the Lord answered prayer about the land issue and the city chose another piece of property for their project. We also had a couple of earthquakes this past month. On August 12 (the earthshaking day our youngest turned 15) we experienced a 5.1 earthquake with the epicenter quite close. There was some damage in the area with a few deaths and the Panamerican Hwy. is closed for repairs the next 6 months, but we are so thankful that things weren’t worse. Thank you for your prayers! Cofan village visits – Two visits were made to the villages this past month. We are thankful that Ron is able to encourage the believers in the Cofan villages and teach the children more about God’s Word. Ron plans to go down next week, Sept. 2nd – 4th with some Quito friends. The Dureno Church’s outreach to the downriver villages went well. They first visited the Secoya village of San Pablo where Ramon preached in Spanish and they showed an evangelistic movie. Then they visited the Cofan sub-village of Pacuya where Wilson preached and everyone in this small village got involved in activities from playing games to coloring. Last but not least they visited Zabalo and had three services in this larger village with very good turnouts. Leoncio preached the first night and they showed the Cofan “Jesus” movie. At the third service on Sunday, Iter and Irene were baptized! This is the last scheduled outreach for this year, but we are excited to see how God will continue to work in this area. Cofan IBME students: Classes are starting up again September 2nd for the Instituto Biblico Missionero Ecuatoriano students. Marcelo is returning for his third year of study. He will be arriving at the school on Monday Sept. 1st. There are others interested, but they haven’t made solid decisions to attend yet. Perhaps next year. Other Ministry Opportunities: Ron has continued with three Bible studies over the summer months. 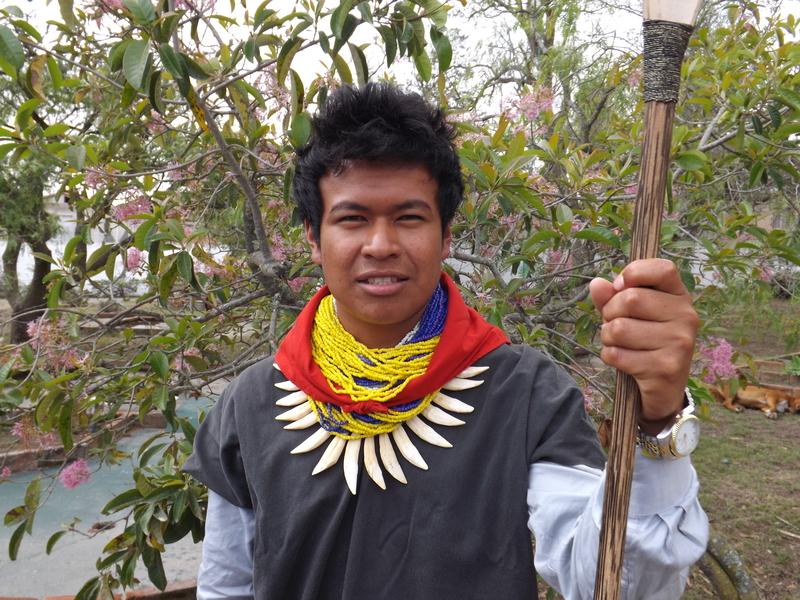 On Tuesday night he teaches one in Cofan to Aurelio and his family. Thursday morning he helps with one in English and Thursday night he helps with one in Spanish. We hosted a fellowship lunch at our home for the Thursday night Spanish study last Sunday August 24th. The ladies Bible study Esther is involved in will be starting up Friday September 5th. Pray for the ladies who gather and study the book of Ruth for the month of September. Homeschooling Activities: Our first Homeschool Teen Fellowship meeting on August 22nd went well. We had eleven teens attend and had a good time opening up a new study in the book of Hebrews. Our meetings for September are planned for the 5th and 19th. We are also going to host a Homeschool Family Picnic here at our home on Saturday September 6th. It already looks like we will have a few new families in attendance. Family: We have some exciting news here in the family. Our son Ethan became engaged to Leanne Ridgeway, daughter of Franklin and Gina Ridgeway and granddaughter of Bill and Irene Ridgeway! We are so excited for them!!! It looks like a date is being set for May of 2015, taking place west of Spokane, WA. Our family will be making plans to travel to the States around that time. We will probably combine the special event with a furlough for several months. Keep tuned for more details! Oh, and the Lord has provided Ethan with a wonderful opportunity to be a youth pastor at a small church in Ritzville, WA! We appreciate your prayers for him as he starts his job the beginning of September. Leanne works as a teacher’s aid at a nearby school. 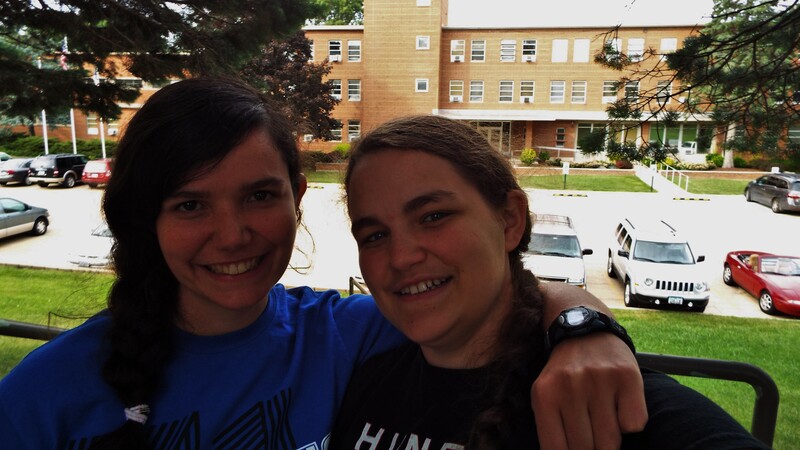 Sarah and Julia started classes at Emmaus Bible College this past Monday August 25th. Both girls are enjoying living across the hall from each other, making Ensemble, and making new friends. Lydia continues to work as a secretary in a branch Compassion office and enjoyed a 10 day trip to Arajuno and Shell in August. We wish we could be at the wedding of our nephew Federico Borman to Emmy Mosburg in Grove, OK October 4th. They are in our thoughts and prayers.